Chicago's East Garfield Park sixth, seventh, and eighth graders visit the Illinois State University campus in Bloomington-Normal. For most Chicago Public School students, Columbus Day is a day of leisure spent with family or friends. 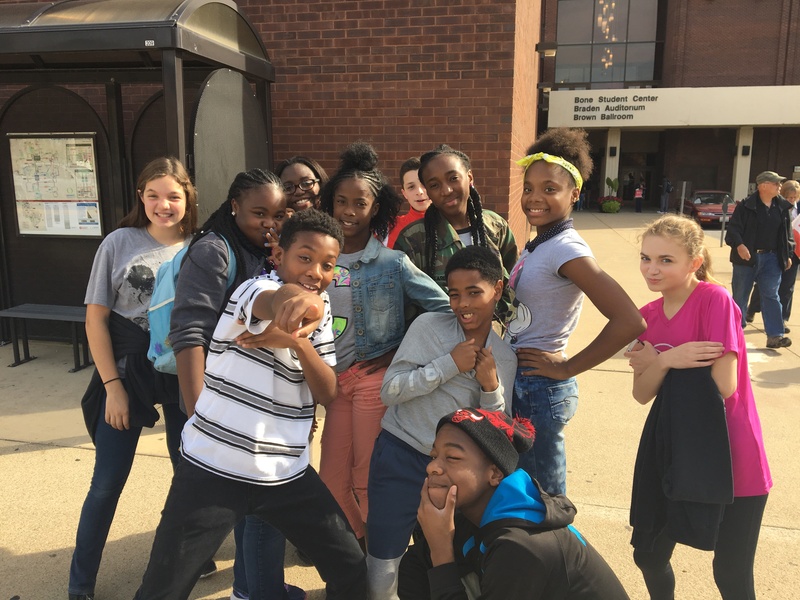 For a group of middle school students from East Garfield Park, the holiday was an opportunity for so much more. On the morning of Monday, October 10, a van full of sixth, seventh, and eighth graders departed from Breakthrough FamilyPlex in Chicago’s East Garfield Park for a visit to the Illinois State University campus in Bloomington-Normal. Shirley McCauley, office manager at the Bone Student Center, organized the tour with a customized itinerary for the middle school students. First stop for the Breakthrough middle school group is the Bone Student Center. Student guides hosted the campus tour and showcased buildings in the Quad. Among the highlights of the Quad were the Center for the Visual Arts and the Center for the Performing Arts, where Breakthrough youth had the chance to explore the concert hall and theater. One tour guide also introduced Fell Arboretum and explained its significance to students in STEM (science, technology, engineering, and mathematics) fields. For a taste of campus life, the tour group enjoyed lunch among university students at the Marketplace at Linkins. The middle schoolers were not only delighted by the food and beverage options, but they also caught a glimpse of the way students socialized between classes and earned money through campus dining jobs. Breakthrough students stop to visit Hancock Stadium. For many of the Breakthrough students, the most exciting parts of the campus visit were the athletic centers. 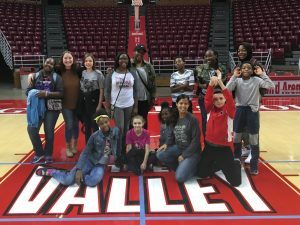 They took advantage of their “all-access pass” to Redbird Arena by snapping photos on the court, exploring locker rooms, and taking in the view from the skybox seating. At Hancock Stadium, they asked the tour guide questions about the number of games played there and the number of fans the stadium holds. To McCauley, highlighting sports centers in guided tours of campus is intentional. “For some kids, this might be their first time or only time on a college campus, and we recognize that athletics could be a huge draw,” she said. Gynger Garcia, community liaison for Breakthrough, served as a chaperone for the middle school group and echoed McCauley’s sentiment. “College might not be a norm in some of these families, so we want to get youth to think about high school as a stepping stone to college,” she said. 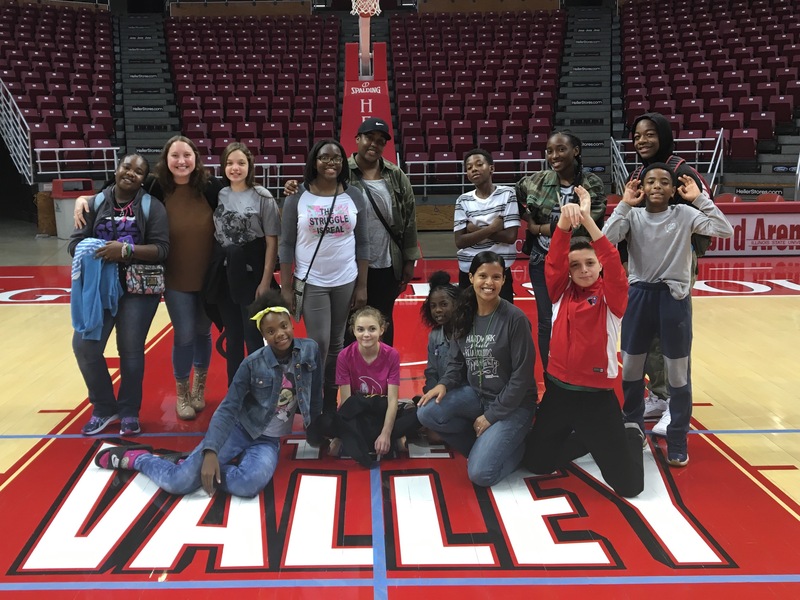 Middle school students touring Redbird Arena with Breakthrough liaison Gynger Garcia. 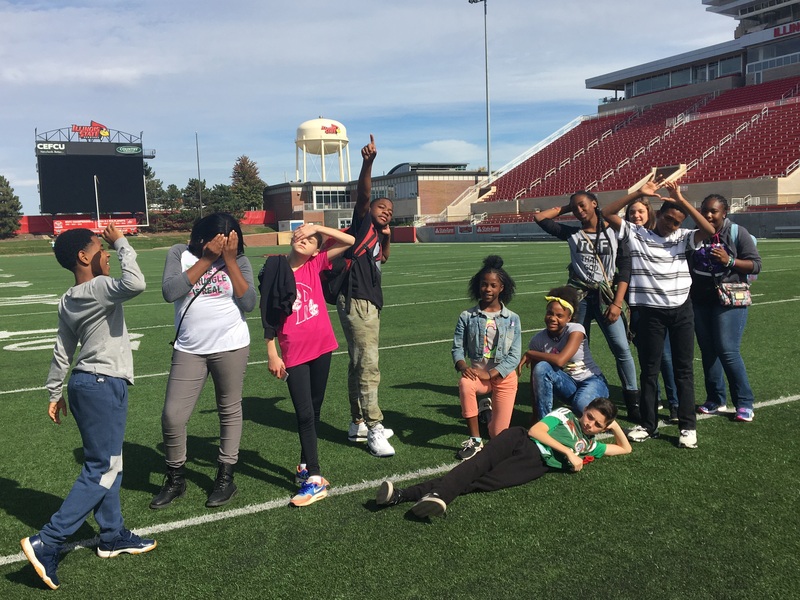 Indeed, the Breakthrough students were surprised by an opportunity to connect their roots in Chicago’s West Side to life at Illinois State. While on the tour, the youth ran into an East Garfield Park resident who is an undergraduate student at Illinois State. Their curiosity increased as their questions became related to their own opportunities. They asked the undergrad about applying to scholarships, adjusting to dorm life, and traveling between home and campus for summer and winter breaks.